A confusing dilemma for many first-time vapers is how to choose the right e-liquid - or "smoke juice." The truth is, besides nicotine and added flavoring, the liquid that fills every electronic cigarette is made up of two core ingredients – propylene glycol (PG) and / or vegetable glycerin (VG). There really isn't a "right" or "wrong" choice when it comes to these ingredients, but each has it's own unique qualities and the performance of your device will depend heavily on the PG vs. VG content of your e-juice. 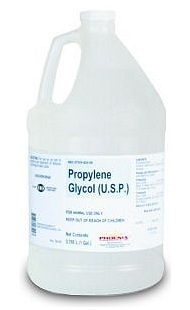 Propylene Glycol (PG) is FDA-approved and used in thousands of products that we wear, ingest and inhale everyday. It's widely considered safe - a common ingredient used in cosmetics, fragrances and a wide range of foods and pharmaceutical goods such as asthma inhalers. The eery fog that sets to mood at your favorite rock concert is made from PG! In e-cigs, it's a thin, tasteless base ingredient known for producing a strong "throat hit" - that burning sensation you get in the back of your throat, similar to a regular cigarette. Because it lacks taste, it doesn't impact the flavoring of your e-juice and is known for producing accurate, excellent flavors. And because of it's ultra thin quality, it's less likely to gunk up your wicks and other vaping gear. On the downside, PG produces slightly less vapor than VG, and in rare cases, some people have mild allergic reactions, such as rash or upset stomach. 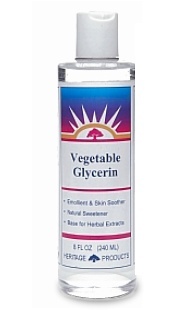 Vegetable glycerin, or vegetable glycerol, is also FDA approved and widely considered safe, but rather than being chemically produced in a lab it's derived from vegetable plant oils. Because of it's thicker qualities, VG tends to produce thicker clouds of vapor than PG, but it's also more likely to build up on your wicks, heating elements and other vaping components, meaning more cleaning and maintenance will be required. VG also tends to lack the strong "throat hit" produced by PG, and it has a slightly sweet aftertaste, which could impact the overall flavor of your e-juice. For those with PG allergies, VG is the only alternative. And if thick clouds of vapor are your primary objective, VG-rich e-juice is definitely the best choice. The only way to know which option is right for you is to EXPERIMENT. To get the best of both worlds, it's wise to start out with a combination of PG and VG. Many e-juice companies offer 50/50, 60/40 or 70/30 mixtures that will allow you to benefit from the advantages of both VG and PG. If you're unsure which option suits you the best, this is a great way to get started and to feel out both base ingredients. Almost every vaper goes through a period of trial-and-error to determine the right PG vs. VG mixture, so give it some little time and slowly fine-tune your e-juice until you come up with the perfect PG / VG blend. If you feel like you're not getting enough vapor, increase the VG in your next batch. Not enough throat hit? Add some more PG to the mix. Eventually you'll come up with the perfect blend that has all the qualities you're looking for and you can start focusing on what really matters - THE FLAVORS!